The TAMIU Staff Senate would like to invite you to join us for our events this 2018 - 2019 academic year. All events open to the general public. 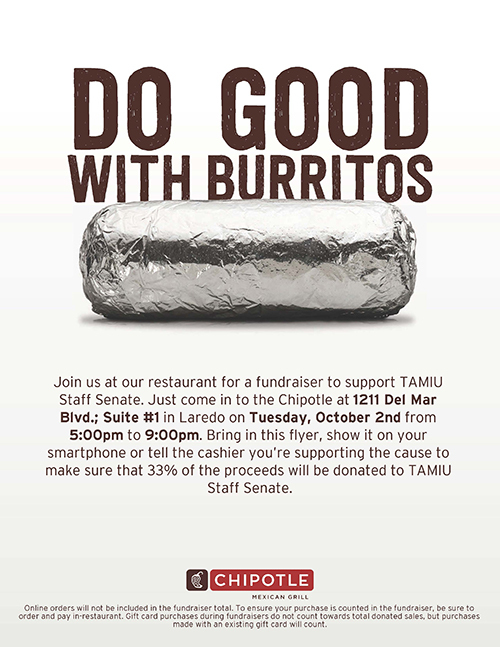 The TAMIU Staff Senate is excited to announce their 3rd Annual Bowl-a-Thon! 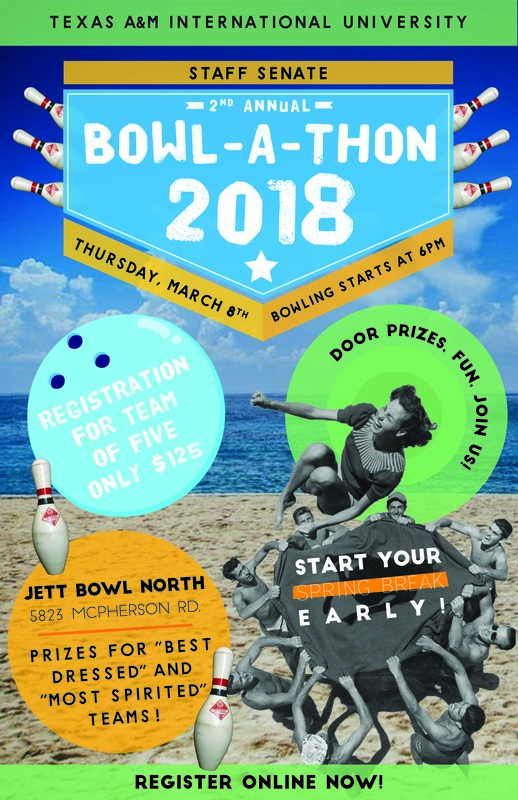 This Bowl-A-Thon is a fun way for our TAMIU community to join together, while also helping to generate support resources for our Staff Senate and programs such as book scholarships for our student Senate members. Thursday, April 25th, 2019, starting at 6 p.m. Registration for your five (5) person team is $125, which includes three games and shoes for five. Need a group? Pay $25 and we'll place you on a team! 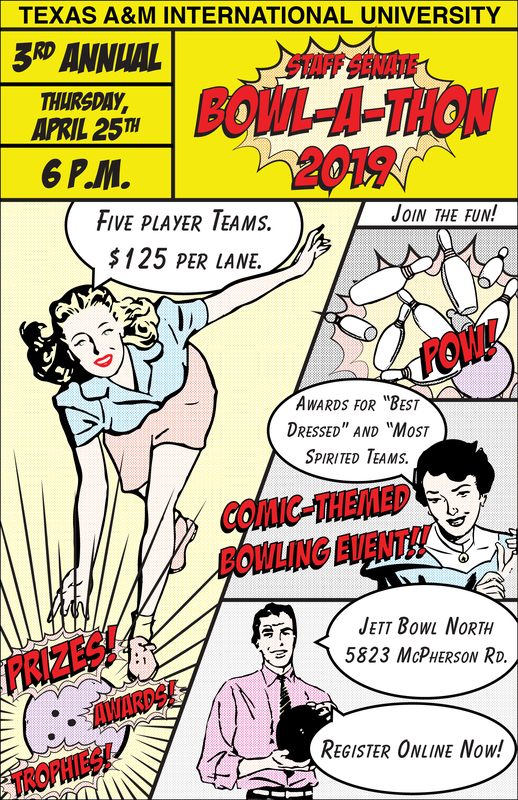 There will be door prizes and prizes for Best Dressed and Most Spirited Teams. Our event theme is COMICS so dress accordingly! Round up your friends and have fun at this family-friendly, fun-filled event! Help us promote our event by downloading our flyer! On behalf of the Staff Senate, thank you in advance for your support! Our Chipotle fundraiser was a success! Thank you very much for your support! Our Fresh Snacks fundraiser was a success! Thank you very much for your support! Bowl-a-thon was a success! Thank you very much for your support to this event! We had a SOLD OUT show! Thank you very much for your support! 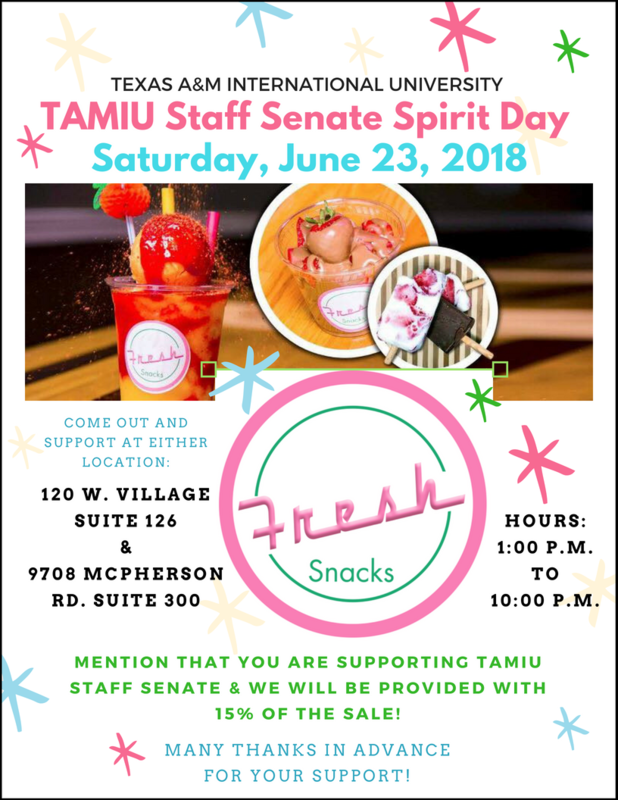 Thank you in advance for supporting the TAMIU Staff Senate.